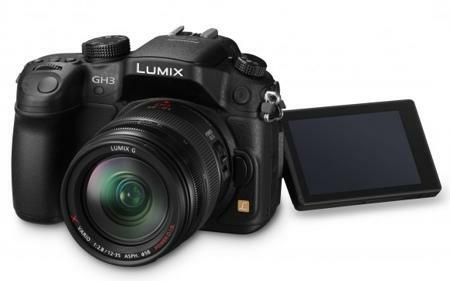 The “multimedia photographer” must be a new breed of shutterbugs, as Panasonic has just announced their latest device known as the Lumix DMC-GH3. Not only does it come across as a compact and lightweight device, it is also easy on the eyes, and yet occupies the high end of the mirrorless single lens system camera segment. Despite its apparent beauty, you should take note that more than capable of holding its own in everyday rough-and-tumble situations, shooting perfectly fine even under the extreme conditions of heavy field use. For starters, the new Live MOS Sensor that has been incorporated is capable of achieving high-resolution images with minimum noise. Throw in the spanking new Venus Engine and you are able to enjoy high-speed, high-quality signal processing under most photo capturing conditions. When these features come together, they will be able to maximize shooting fun as well as operating ease without having you bat an eyelid, and folks will wonder just what it is that made you elevate your photo shoots to a totally different level. Apart from that, a notable mention of the Lumix GH3 has to be made about its tough body that is rugged enough to stand up to professional use. Made out of a magnesium alloy full diecast body and advanced splash/dustproof construction, it lets you go where no camera has gone before – of course, there are some rugged cameras around, but how many offer DSLR-like image quality while being compact? Three dials on the front and back as well as single-function buttons make up the new controls layout for easier accessibility and use regardless of the condition. Not only that, the 16-megapixel Lumix GH3 even boasts of integrated Wi-Fi connectivity that helps you expand shooting possibilities, where your smartphone or tablet can double up as a remote control and a remote monitor. Are you stoked yet, and is your wallet screaming to have its credit card busted out when the Lumix GH3 arrives at a store near you?